The ITV Catherine Cookson Collection DVD box set. 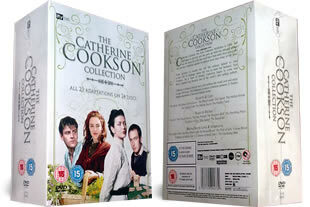 24 dvd's and twenty-three Catherine Cookson tales (this is the special edition box), DELIVERED FREE IN THE UK. Enjoy the ITV television adaptations of twenty-three Catherine Cookson tales. Titles includes: The Mallen Curse, The Moth, The Black Velvet Gown, The Black Candle, The Round Tower, The Secret, The Mallen Secret, The Mallen Streak, The Storyteller, The Mallen Girls, The Girl, The Fifteen Streets, The Rag Nymph, The Wingless Bird, The Dwelling Place, The Glass Virgin, Tilly Trotter, The Cinder Path, The Man Who Cried, The Tide Of Life, Colour Blind, A Dinner Of Herbs and The Gambling Man. This Catherine Cookson box set was bought as gift. I am a fan of the author and have watched all of the made for TV films in the series and enjoyed them immensely and I will be re-seeing them again later. Another great purchase from The Classic Movie Store and reasonably priced and delivered on time and in good condition. The picture quality is not as sharp as I would have liked but is no worse than this series that I had that were on VHS tapes some years ago. This of course is not something CMS can rectify. It's just the way it is! but does not reflect on the enjoyment that the films give. 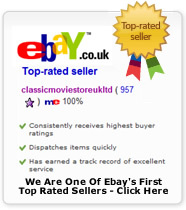 I am pleased with my purchase an will no doubt buy more movies from CMS. A wonderful set of Cookson stories at a very reasonable price. Highly recommended.